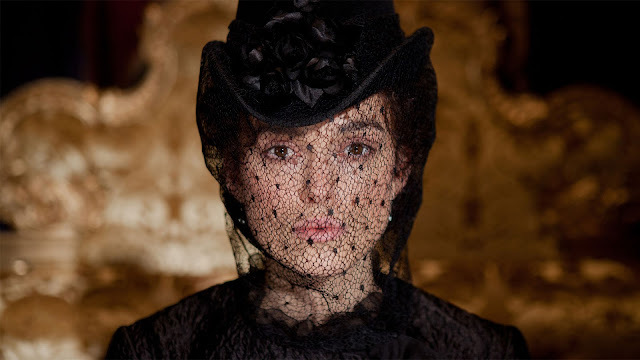 Finally watched Anna Karenina | escaped. Months ago, I was so bored so I decided to borrow some books I've always wanted to read, and one of them was Anna Karenina by Leo Tolstoy. And today, I finally watched the movie version! I can safely say, after Black Swan, this movie has come second as the most mind-blowing movie I've seen - and not just because I've read the book. Its dark plot, theatre-ly scenes, dark characters - all come together and guess what? Even the ending was brilliant. Even though I've already knew how it's going to end, I still wanted to see how they'd turn out in the movie. And of course, the costumes. I. Can't. Even. Have always loved the big gowns, shiny jewelries and gorgeous hats. 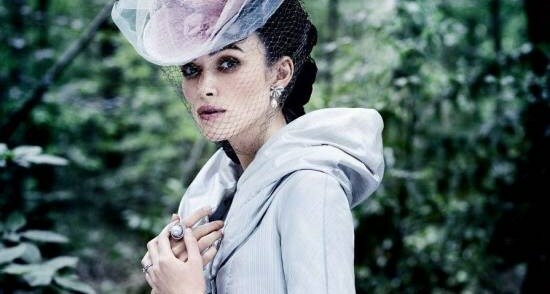 Keira was great as Anna, but I would prefer someone a lot darker to play the role (in my mind, Anna should be a woman with a killer curves) but for all it's worth, Keira pulled it off easily. Don't really fancy the hair, though - why would they make her hair like an evil witch?! And I'd marry Count Vronsky anytime. "If you have any thought for me you will give me back my peace"
"There can be no peace for us, only misery, and the greatest happiness"